There has been criticism of the speed of these modifications and of the company’s advice that the machines can still be used as long as they are not left unattended. “It is absolutely unacceptable that one year on, Whirlpool customers are still seeing slow, poor service and potentially receiving incorrect and dangerous advice,” said Alex Neill, from Which?. “To date, 1.46 million consumers have registered their affected dryers with us. 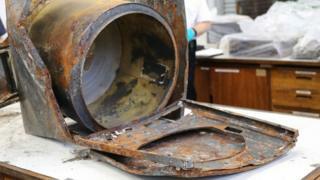 Of these, we have already resolved more than one million cases,” a spokesperson told the BBC. Whirlpool said its priority was the safety of its customers and it was doing everything it could “to ensure that the tumble dryer modification programme is carried out in a safe and timely manner”. In a recent letter to the Commons Business Select Committee, it said: “We have made significant progress in improving our response times. “From the moment of registering an affected dryer with us, in the vast majority of cases customers are now contacted within a few days to offer an estimated modification date. The maximum waiting time for this, in exceptional circumstances, is two weeks,” wrote Whirlpool UK managing director, Maurizio Pettorino. A startup based in North Carolinas Research Triangle Park, Phononic, wants to make refrigeration and temperature controlfar more efficient, and steadier, than is possible with traditional systems. Instead of relying on vapor compressors, fans, chillers or passive heat sinks, Phononic makes semiconductors that are smaller than a dime, and actively remove heat from the places or devices where they are installed. The company has raised $30 million in new equity funding to support the international expansion of its business, and ramp up the use of its tech within refrigeration and electronics. CEO and founder Tony Atti said Phononics technology is both quieter and less energy intensive than other available systems. But customers are embracing it for cost-savings, not to look green. We can draw a line between a solid state, sustainable solution and something that has real economic value for our customers, he said. So far, Phononic chips have been used in wine chillers, medicalrefrigerators that are used to keep vaccines and biologics at a steady temp, and even in fiber-optic cables, which heat up undesirably as light and data travel through them. Investors in Phononics new round of funding came from a mix of venture and public equity firms: GGV Capital, Lookout Capital, Eastwood Capital Corp, Venrock, Oak Investment Partners, Tsing Capital, Huaneng Invesco WLRoss, the Wellcome Trust and Rex Healthcare Ventures. With their investments, GGV Capitals Jenny Lee is joining the board at Phononic along with Bill Holland, Chairman of CI Financial. Leecompared Phononics technology to LEDs, which transformedlighting and adjacent industries. For a disruptive technology to be adopted quickly, we think the approach is to work with the existing ecosystem and players and enable them to be successful versus trying to establish a complete,end-to-endnew product, especially if you have a compelling price performance technology, which Phononic does. Given the new funding, Phononic plans to add at least 20 new hires to its sales and customer care departments over the next year, Atti said, and to build out its manufacturing and delivery capacity to serve a growing number of healthcare and life sciences customers, first in the U.S. and later in China. The company employs 110 full-time today. It has established a factory in North Carolina already and some local operations in China. Additionally,Atti said, the businesswill continue research and development efforts to make its chips even smaller. The CEOs vision is to decentralize the cold chain and climate control, he said. To translate that for laypersons, Phononic aims to bring its tiny cooling chipsto everyindustry that requires temperature control to safeguard inventory and people. A 6 oz. or smaller chip, like those made by Phononic, compare to a 22 oz. traditional, vapor compressor refrigeration unit. They canclear up space for inventory within refrigerated trucks, cargo ships and containers, or shelves on a refrigerator in a retail setting like a grocery store or restaurant. If Phononics technology shrinks even further, it could be small and lightweight enough to keep everything from smartphones to drones at a steady, ideal temperature. I always dread getting heating bills in the winter. I’m sure you do, too. That being said, there are a ton of tips and tricks to better insulate your house. Not only is it good for your wallet, but it’s better for the environment. Winterizing a home also can be cheap and easy, which means now is a great time to read up on these 17 life hacks so you only have to pull out the blankets when you want to. 1. Stay insulated by sealing your windows with caulk. 2. For all the moving parts of windows and doors, weather stripping is essential. In Britain, people typically switch their central heating on in October and use it daily until March or April. This coincides with the clocks going back, the drop in temperature and Winter Fuel Payments to anyone who receives the state pension. Heating homes accounts for over 70% of household energy consumption. So reducing this figure while keeping homes warm enough not only cuts energy bills, but helps meet the carbon reduction commitments that the UK government is legally required to deliver. 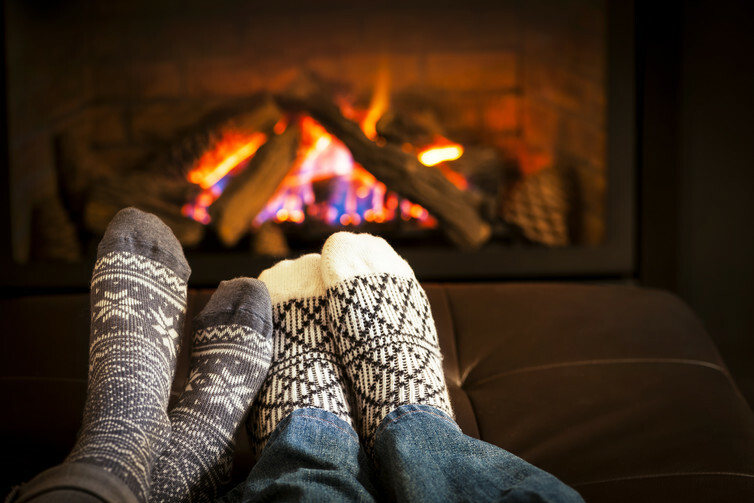 The most recent figures show that 2.38m households in the UK are in fuel poverty which basically means that almost 11% of British homes cannot afford to keep warm. But while the scale of this problem is significant, not all the solutions need to be complex and costly. So here are 10 simple tips for keeping your home warm for little or no extra cost just in time for that severe weather warning. Heat from the sun is free so make the most of it. Open your curtains and let the sunlight in during the day to make use of this free heat. When it gets dark, shut your curtains, which act as another layer of insulation and keep warmth in your rooms. You should also make sure you dont have any leaks or gaps so that the warm air can stay in and the cold air stays out this also helps to reduce condensation. 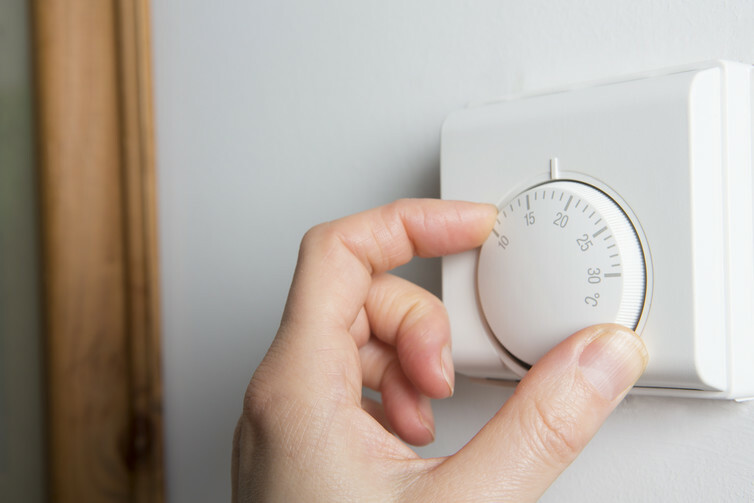 The Centre for Sustainable Energy advises that programming your boiler to turn the heating on a little earlier such as 30 minutes before you get up in the morning but at a lower temperature is cheaper than turning it on just as you need it at a higher temperature. This is because a boiler heats up at a constant speed whether you set your thermostat to 20C or 30C. But dont make the mistake of leaving your heating on low all day because then youre just paying for heat when you dont need it. It might feel great to have your favourite seat in front of the radiator, but its absorbing heat that could be warming your home. By moving it away from the radiator, hot air can circulate freely. The same goes for your curtains or drying clothes keep them away from the radiator so that you can get the most out of your heat source. When it comes to heat, around 25% is lost through the roof. This can be easily reduced by installing 25cm of insulation throughout your loft. Its also worth seeing whats going on in your walls, as around a third of the heat in an uninsulated home is lost this way. Although its not as cheap to install as loft insulation, cavity wall insulation could save up to 160 a year in heating bills. Its also worth checking with your energy supplier to see if they have any insulation schemes running which can sometimes mean cheap or free installation. If you have a hot water tank, make sure it is properly lagged or insulated. This will keep the water warmer for longer, and reduce heating costs. The Energy Community reckons that insulating an uninsulated water tank could save up to 150 a year but even just upgrading your tanks old jacket will help to save money. This may seem a little counter-intuitive, but bear with me. The World Health Organisation previously recommended a minimum temperature of 21C in the living room, but Public Health England revised this to 18C in 2014. And research shows that turning your thermostat down by 1C could cut your heating bill by up to 10%. So keep the dial at 18C, save money and avoid the negative impacts of a cold home . Even a simple solution such as a making your own sausage dog draught excluder will help keep the warmth in your home. The Energy Saving Trust estimates that DIY draught-proofing your doors, windows and cracks in the floor could save 25 per year. You can do this yourself for very little cost. Self-adhesive rubber seals around doors and windows and door draught excluders are relatively cheap and easy to install. So its worth getting those doors and windows sealed before winter properly kicks in. Research at the University of Salford has shown that installing heating controls and theromostatic radiator valves results in energy savings of 40% compared to a house with no controls. These work by allowing you to programme your heating to come on at predefined times so you only use energy when you need it. New smart thermostats can also be controlled remotely via your mobile so you can turn on your heating on the way home, ensuring its nice and toasty when you arrive. If your boiler is more than 10 years old, it may be time to replace it with a new, more efficient model. Depending on your old boiler type and house, you could save up to 350 with a new A-rated condensing boiler which uses less energy to produce the same amount of heat. Plus, if its new, youre less likely to have any issues going into the winter season.